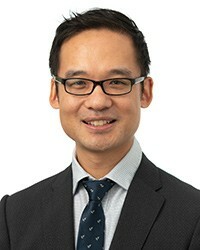 After graduating from the University of Melbourne in 2004, Yuan underwent many years of training, practice, and further study before obtaining his fellowship as a specialist in General surgery. From thereon he chose to focus his subspecialty trainings in the area of bariatric surgery. After spending one year with a team of expert surgeons at Eastern Health Melbourne in a dedicated and high-volume bariatric unit, Yuan was met with the opportunity to travel to Belgium to work alongside Dr. B. Dillemans. Belgium was the perfect platform for Yuan to further his skill set and level of expertise, especially in Roux-en-Y gastric bypass and the more complex revision bariatric surgeries. They perform over 1200 gastric bypass surgeries each year, with each procedure taking just one hour to complete safely owing to the utilisation of advanced laparoscopic (key-hole) surgical techniques.